So I have been getting through my summer reading list and I recently finished a couple up. The first one I read off of my list was Jen Lancaster "Bitter is the New Black" and I LOVED it! I am actually bummed that I missed Jen on her stop through the Twin Cities! 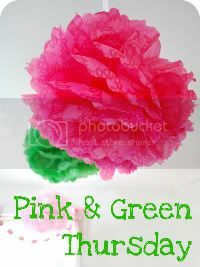 I do read and keep up with her website, she is a hoot! I actually would love to just dive into her next books, but, I am going to do my best to stick with my summer reading list and once I have gotten through it, then I will pick up her other books. 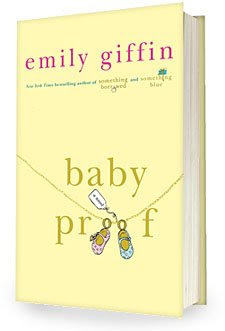 I also just finished "Baby Proof" by Emily Giffin which I also loved. I found the subject matter to be very interesting since it isn't very often that you come across women who choose not to have children and simply do not want them. I always wonder if people judge me because I don't have kids and I always feel as though I have to explain myself. I know that this is something that I personally put upon myself, but at the same time, I do think that society judges women who do not have children. I know that for me, this was something that I needed to talk about with the boy right away in our relationship. I was very lucky in the fact that he did not want children, but again, I don't think this is very common. I have a couple of friends who don't want children too, a few actually, and it makes me wonder if we gravitate to one another. I did think it was a very good book though. Next up, "Julie & Julia" I can't wait! I just finished Emily Griffins latest and great, Love the oine You're With. Good beach read. But on the 'gravitate to one another' comment. I think there is something to it. While we have kids, most of our friends do not. And have not intention of ever having them. It is interesting that we gravitate towards these people, while not on purpose. Though I will say there is no judging, beyond the fact that I think it is admirable to go against what may be the "expected" and say, it is not for me!